How to transcode your 360˚ videos to our recommended settings to get optimal performance in your scenario. Open the the first video file or drag-and-drop it into the white rectangle (we'll get to the other video files later). Next, you will get a lot of different transcoding settings. To make it easy for you, we have made a custom preset that you can download and import into Handbrake, which contains all the recommended settings. Download the preset file here. Next, in the upper-menu, press "Presets" and then "Import from file". Choose the downloaded preset file. All transcoding settings are now changed to our recommended settings for Warp Studio. The only thing left to do is encoding the video. 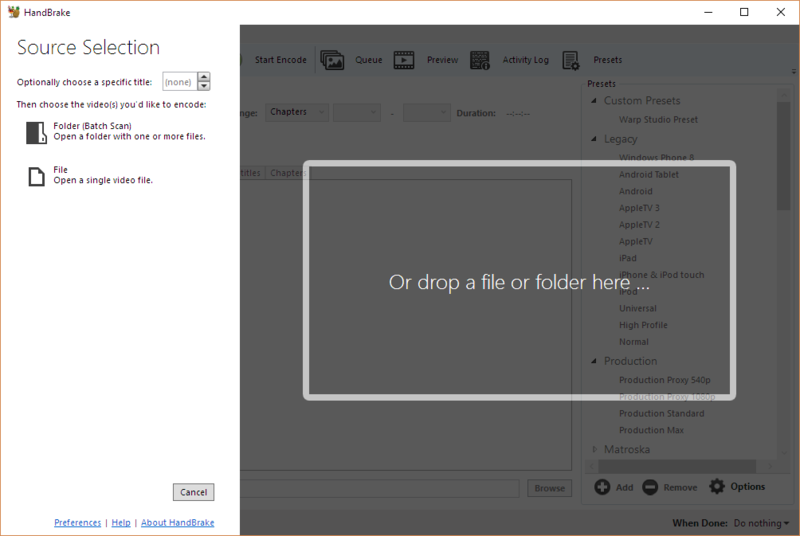 On the bottom right, press "Browse" and choose a location and filename for the output video. If you have multiple videos to be transcoded, you can put the video in a queue by pressing the upper option "Add to Queue". Then, you can add your 2nd video by choosing "Open Source". Add that one to the queue as well. Repeat until you have all the needed videos. Press "Start Encode". The encoding of the videos will now start, this may take a while. When it's done transcoding, the new video files will appear in the folder you chose. 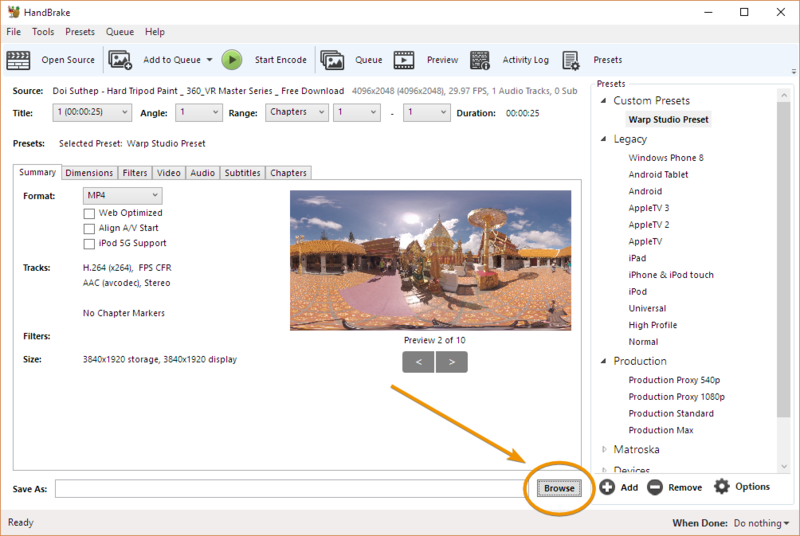 Now you can use these 360˚ videos for your scenario, without having to worry about any issues!